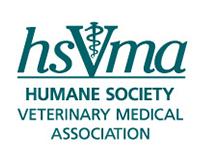 The Humane Society Veterinary Medical Association has launched a new outreach effort focused on the issue of cosmetic and convenience surgeries in companion animals. 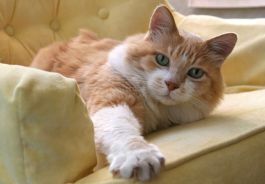 Cats can be trained to avoid destructive scratching. This campaign has been designed to help educate the public and provide tools to veterinary professionals who are opposed to these non-therapeutic procedures, which include ear cropping, tail docking, devocalization of cats and dogs, and declawing of cats. Many veterinarians are already refusing to perform these procedures, as they are typically performed solely for the cosmetic preferences and convenience of the caregivers and provide no medical benefit to the animal. However, the pressure does exist to perform these surgeries. Clinic policies, economic concerns and client demands—which may include the risk of pet relinquishment if the surgery is not performed—all factor in to this difficult decision for veterinarians. HSVMA is one of the leading organizations in a coalition working on a Massachusetts state bill to ban devocalization of dogs and cats. An Act Prohibiting Devocalization of Dogs and Cats would ban these procedures on a dog or cat unless deemed medically necessary to treat or relieve an illness, disease or injury or to correct a congenital abnormality. Read our devocalization fact sheet and contact your Massachusetts elected officials about supporting this bill. A great dane with natural—not cropped—ears. HSVMA is offering presentations at schools and urging students to consider and formulate their ethical positions on the issue of cosmetic and convenience surgeries prior to applying for jobs upon graduation. HSVMA has posters and flyers on cat declawing for veterinary clinics, animal shelters and humane societies. Contact us for more information.